The Airlines lost, end of story. I could stop there, refer you to our earlier post and conclude by expressing the hope that airlines will acknowledge defeat and in the future pay compensation when compensation is due under Regulation 261/2004. However, being the academic minded blogger, I’ll go into more detail on the joined cases Nelson (C-581/10) and TUI Travel (C-629/10) below. 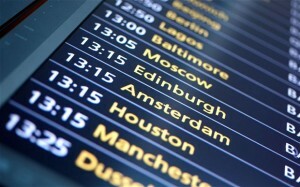 The Grand Chamber of the CJEU has decided on compensation for delayed flights. The judgment confirms the 2009 ruling in Sturgeon, in which the Court held that under Articles 5-7 of Regulation 261/2004 passengers not only have the right to standardized monetary compensation in case of denied boarding or cancellation, but also in case of long delay (long being three hours or more). This interpretation of Articles 5-7 has raised some eyebrows, not least because neither Article 7 nor any other provision of the Regulation expressly provides the right to compensation in case of delay. Consequently, the ruling in Sturgeon has been under attack from airlines since 2009 and courts in several Member States have stayed proceedings awaiting this judgment of the CJEU on the ‘validity’ of Sturgeon. To sum up the arguments the airlines have made: Sturgeon is invalid because the decision is contrary to the principles of legal certainty and proportionality, and, moreover, that it is inconsistent with both the 2006 IATA ruling and the Montreal Convention for the Unification of Certain Rules for International Carriage by Air (ratified by the EC). 49 (…) it should be made clear that, like the inconveniences referred to in IATA and ELFAA, a loss of time cannot be categorised as ‘damage occasioned by delay’ within the meaning of Article 19 of the Montreal Convention, and, for that reason, it falls outside the scope of Article 29 of that convention. 50 Article 19 of the Montreal Convention implies, in particular, that the damage arises as a result of a delay, that there is a causal link between the delay and the damage and that the damage is individual to passengers depending on the various losses sustained by them. 54 The specific obligation to pay compensation, imposed by Regulation No 261/2004, does not arise from each actual delay, but only from a delay which entails a loss of time equal to or in excess of three hours in relation to the time of arrival originally scheduled. In addition, whereas the extent of the delay is normally a factor increasing the likelihood of greater damage, the fixed compensation awarded under that regulation remains unchanged in that regard, since the duration of the actual delay in excess of three hours is not taken into account in calculating the amount of compensation payable under Article 7 of Regulation No 261/2004. 55 In those circumstances, the loss of time inherent in a flight delay, which constitutes an inconvenience within the meaning of Regulation No 261/2004 and cannot be categorised as ‘damage occasioned by delay’ within the meaning of Article 19 of the Montreal Convention, cannot come within the scope of Article 29 of that convention. 56 Consequently, the obligation under Regulation No 261/2004 intended to compensate passengers whose flights are subject to a long delay is compatible with Article 29 of the Montreal Convention. 67 (…)having regard to the requirements arising from the principle of equal treatment, air carriers cannot rely on the principle of legal certainty and claim that the obligation imposed on them by Regulation No 261/2004 to compensate passengers, in the event of delay to a flight, up to the amounts laid down therein infringes the latter principle. 68 In addition, as the Advocate General observed in point 46 of his Opinion, once the judgment in Sturgeon and Others was delivered, both air passengers whose flights were delayed and air carriers were able to know unequivocally the point from which those passengers may claim payment of compensation and the carriers will be required to pay that compensation, respectively, since the introduction of a clear time‑limit also serves to prevent national courts from making different assessments of what constitutes a long delay which would, in some cases, give rise to legal uncertainty. 77 First of all, the obligation to pay compensation which stems from Article 7 of Regulation No 261/2004 does not concern every delay, but only long delays. 78 Next, the amount of compensation, fixed at EUR 250, 400 and 600 depending on the distance of the flights concerned may still be reduced by 50% in accordance with Article 7(2)(c) of Regulation No 261/2004, where the delay is – in the case of a flight not falling under subparagraphs (a) or (b) of Article 7(2) – less than four hours (Sturgeon and Others, paragraph 63). 79 In addition, air carriers are not obliged to pay compensation if they can prove that the cancellation or long delay is caused by extraordinary circumstances which could not have been avoided even if all reasonable measures had been taken, that is, circumstances which are beyond the air carrier’s actual control (see Sturgeon and Others, paragraph 67). 80 Moreover, the discharge of obligations pursuant to Regulation No 261/2004 is without prejudice to air carriers’ rights to seek compensation from any person who caused the delay, including third parties, as Article 13 of that regulation provides. Such compensation may accordingly reduce or even remove the financial burden borne by carriers in consequence of those obligations. Nor does it appear unreasonable for those obligations initially to be borne, subject to the abovementioned right to compensation, by the air carriers with which the passengers concerned have a contract of carriage that entitles them to a flight that should be neither cancelled nor delayed (IATA and ELFAA, paragraph 90, and Sturgeon and Others, paragraph 68). 1. Articles 5 to 7 of Regulation (EC) No 261/2004 of the European Parliament and of the Council of 11 February 2004 establishing common rules on compensation and assistance to passengers in the event of denied boarding and of cancellation or long delay of flights, and repealing Regulation (EEC) No 295/91, must be interpreted as meaning that passengers whose flights are delayed are entitled to compensation under that regulation where they suffer, on account of such flights, a loss of time equal to or in excess of three hours, that is, where they reach their final destination three hours or more after the arrival time originally scheduled by the air carrier. Such a delay does not, however, entitle passengers to compensation if the air carrier can prove that the long delay is caused by extraordinary circumstances which could not have been avoided even if all reasonable measures had been taken, namely circumstances beyond the actual control of the air carrier. 2. Consideration of the questions referred for a preliminary ruling has disclosed no factor of such a kind as to affect the validity of Articles 5 to 7 of Regulation No 261/2004. That’s settled. Passengers have the right to the fixed monetary compensation under Article 7 of the Regulation in case of a delay of three hours or more. Compensation is only not due in case of ‘extraordinary circumstances’. Several judgments have already been rendered on the question what exactly constitutes ‘extraordinary circumstances’ (Cases C-294/10; C-549/07). The most obvious example is of course natural disasters (in that regard, keep an eye on case C-12/11 which deals with the closures of European airspace as a result of the eruption of the Eyjafjallajökull volcano in Iceland). To conclude, readers of this blog be advised! From personal experience I can assure you some airlines (maybe lots of them) still omit to inform passengers about their right to compensation in case of long delay (indeed, if they inform passengers at all). Interesting and pertinent comments. I believe that airlines have to some extent brought on this situation by cleverly (or perhaps now, not so cleverly) characterizing cancelled flights as only delays. This has been fairly easy to do, as the word “flight” is not defined in the regulation. But if you accept the prevailing judicial definition as “the transportation of a specific group of people, at more or less a specific time, by a specific operating carrier” the obfuscation regarding cancelled vs. delayed is eliminated. I have been fighting Easy Jet for compensation on a flight from Murcia to Bristol for 18 months. On the night of departure – 31.5.11. I was handed a Cancellation notice of the flight due to braking problems. I was not put on a replacement flight until 16.1/2 hours later at 2.0.pm. on 1.6.11. On returning home I immediately rang Easy Jet to claim compensation but was told there NO exceptional circumstances so I was not eligible. Easy Jet informed me in May 2012 -12 months later, that they had changed their classification from Cancelled to Delayed at the time without informing me. In October 2011 my case was referred by the CAA to AESA the Spanish Authority, who eventually ruled under Case C.549/07 that I was due to compensation, as they did not accept Easy Jet’s classification of Delayed with Extraordinary Circumstances. This finding was held in abeyance pending the European Court of Justice ruling on compensation for delayed flights. Although Easy Jet’s appeal has now been quashed, they are still refusing to pay me the £ 326 compensation. Where do I go from here ? National courts are under an obligation to give full effect to directly effective EU rights (this is the case). By my knowledge, it’s up to your country of origin to give you effective reddress. If you have an enforceble judgment, your lawyer might be able to seize the company’s assets through a bailiff or something. Again, this is up to your national legal system. There are tons of class actions about this I believe. I have been fighting Easy Jet for compensation on a flight from Murcia to Bristol for 18 months. On the night of departure 31.5.11. I was handed a Cancellation notice of the flight due to braking problems. I was not put on a replacement flight until 16.1/2 hours later at 2.0.pm. on 1.6.11. On returning home I immediately rang Easy Jet to claim compensation but was told there were NO extraordinary circumstances, so I was not eligible. In October 2011 my case was referred by the CAA to AESA, the Spanish Authority, who eventually in March 2012 ruled under Case C.549/07 that I was due to compensation as they did not agree with Easy Jet’s classification of Delayed with extraordinary circumstances. Easy Jet informed me in May 2012 that they had changed their classification from Cancelled to Delayed at the time without informing me. The ruling of AESA was held in abeyance pending the European Court of Justice finding on compensation for delayed flights. Although their appeal has now been quashed, Easy Jet are still refusing to pay me the £ 326 compensation because they say there were extraordinary circumstances, and they are ignoring the order from AESA. Easy Jet are now saying that AESAs ruling of compensation does not apply because the plane had left its stand and had technically started its journey – thus extraordinary circumstances applied. This, in spite of the fact that AESA in its Judgment based on Case Law, made no mention of this limitation. Neither does EU Regulation 261/2004. Easy Jet say UK CAA and Dutch courts apply these guidelines and therefore I am not due to compensation. I am afraid the deadlines won’t be met, 10 months after the AESA ruling, but you could try to claim that the CJEU case constitutes new evidence and start judicial proceedings. If you what to get compensated, and not just a mere AESA declaration, you should start European order for payment proceedings before the “Juzgado de lo Mercantil” in Murcia or an equivalent one in Bristol, asking for comensation for breach of Regulation 261/2004. As for Spain, no lawyer is needed, you just need to fill a formulaire that can be found at the Annex of Regulation 1896/2006 (http://eur-lex.europa.eu/LexUriServ/LexUriServ.do?uri=OJ:L:2006:399:0001:0032:EN:PDF) I started similar proceedings for long delay (just 6 hours) against Ryanair, invoking Sturgeon, and after two years of fighting, they have finally paid 500 euro (2 passengers)! I am in court soon with Thomson over a delayed flight in 2008. They are citing the Montreal Convention as their defence Article 35 which provides “The right to damages shall be extinguished if the action is not brought within a two year period etc…” I am wondering if anyone knows which part of the new EU legislation deals with this issue? Thanks in advance. Does anyone know if additional damages can be claimed in county court for a delay resulting in additional connecting flight costs – different airline – and hotel costs ?